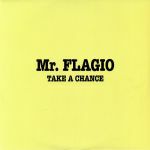 Review: If you were to draw together a list of all time Italo Disco classics, Take A Chance by Mr Flagio would surely be a contender. Heck it should belong in the canon of all time dance music classics, irrespective of genre. 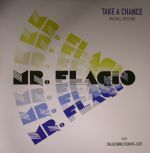 Originally released in 1983, Flavio Vidulich and Giorgio Bacco's production work can be seen as an archetypal example of Italo Disco, all flair-filled synthesizer work, rippling drum machine rhythms and of course that deep vocoder voice. Koto - "Japanese War Game"